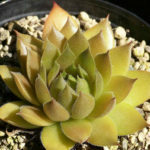 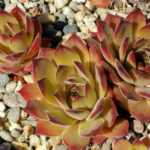 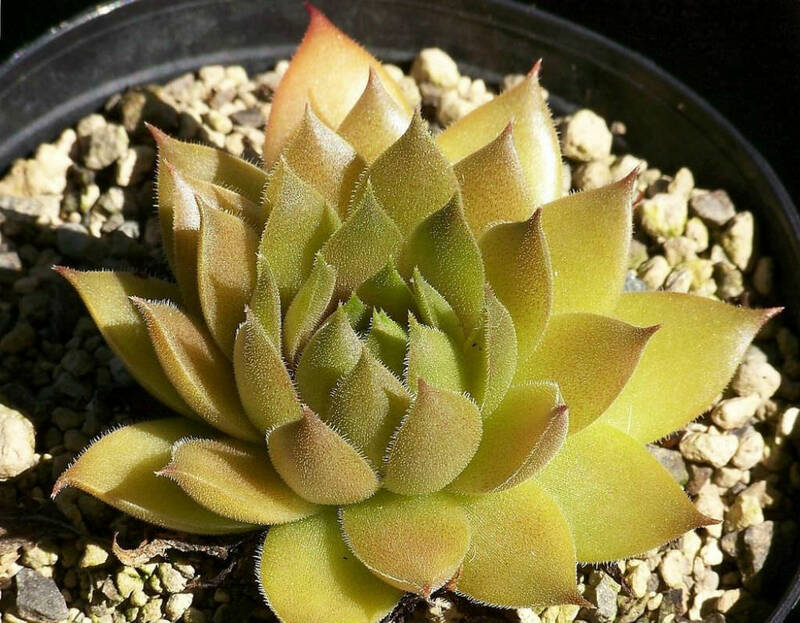 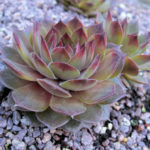 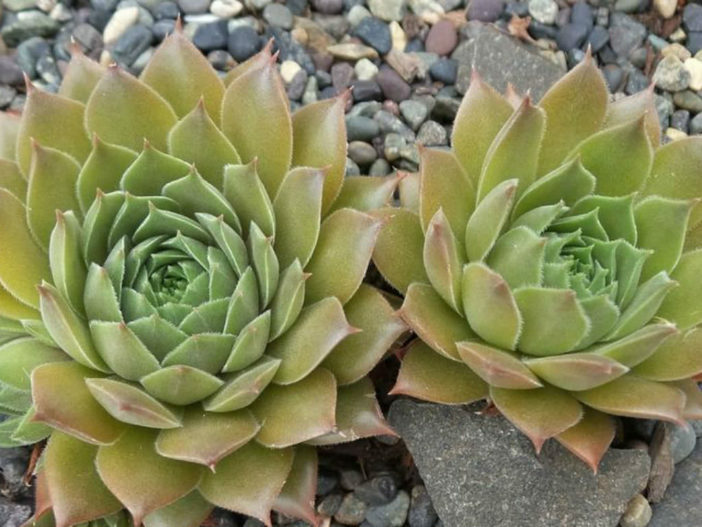 Sempervivum ‘Unicorn’ is a perennial succulent up to 2 inches (5 cm) tall, that makes a large, vigorous, up to 18 inches (45 cm) wide clump of olive-green rosettes, up to to 3 inches (7.5 cm) in diameter. 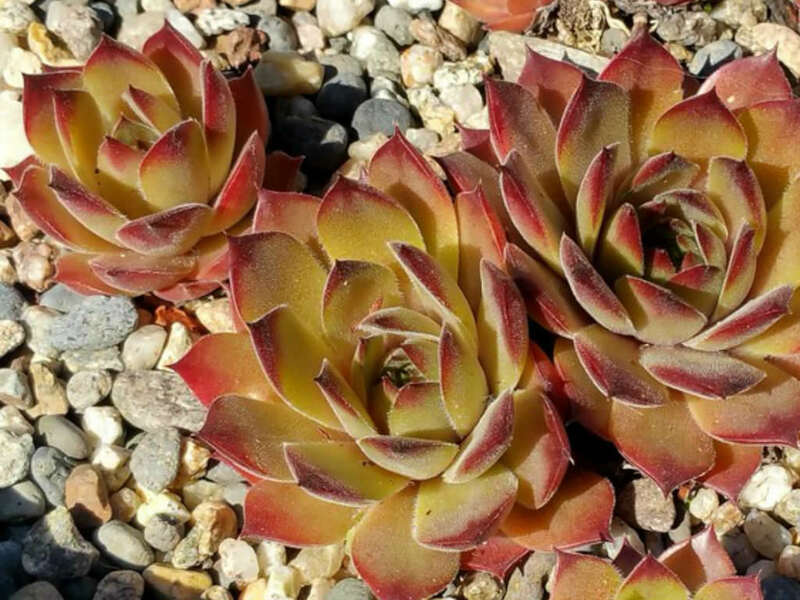 Downy leaves, flush rosy-pink shading to red tips in summer heat. 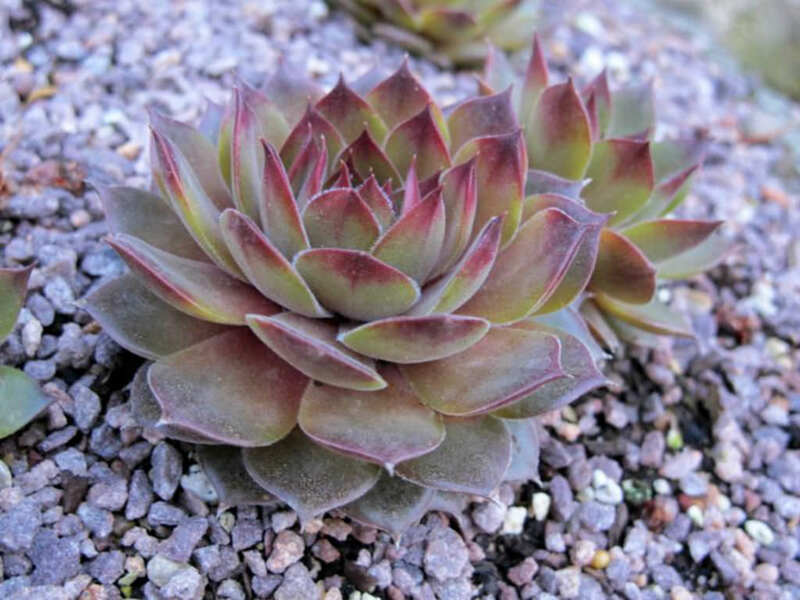 USDA hardiness zone 4a to 8a: from −30 °F (−34.4 °C) to 15 °F (−9.4 °C).